Backup with Ingram Computer Services is a perfect offsite solution that automates data to secure cloud storage. The application combines easy to use interface with a powerful functionality making a disaster recovery plan simple, reliable and affordable. Compress backups to reduce the size of required cloud storage. When the guys at bestbuy couldn't save my data off of my old hard drive, Ingram Computer Services was able to. I am very glad that I found out about them. Hayley S.
Ingram Computers has provided computer equipment and service to our business for several years. Matt knows that I have no technical knowledge, nor do I want any. He clearly explains what we need to do, and he promptly returns calls. I can't imagine anyone better to deal with. Mike N.
Matt has become an important computer resource for Knuckles Insurance. He is extremely responsive, pleasant, and fixes the issues/problems the first time! Tim L.
Service was great as was follow up. Was surprised that a piece of plastic (frame) cost so much. Carl E.
Ingram Computer Services - Fast, Honest, Affordable, Friendly! always on time and able to fix any problem. Annette H.
Answers all questions and then some....AWESOME SERVICE! Backup Schedule. Automate backups by setting up suitable time and frequency. Real-Time Backup. Backup everything automatically. Our software runs as a Windows Service and tracks folders for new or changed files to backup them immediately. Encryption. Protect your data from unauthorized access by choosing an encryption algorithm and setting a unique encryption key. Our backup software encrypts all your data before it uploads. Compression. Reduces the size of your backups to save time and money spent on data recovery plan. The software compresses data prior to transfer. Intelligent Bandwidth Scheduler. Control the bandwidth throttling in real-time to set, for instance, the backup to consume all available bandwidth during the off hours and on the weekends while consume only 10% of bandwidth during the working hours. Virtual Disk*. Expose cloud storage as a local disk on your computer and access your data. Local Backup*. Set up local backup if you want to send only subset of your data to the cloud and keep the rest on your local backup storage. Block Level Backup. Backup only changed parts of the file. Ingram Computer Services detects these parts and automatically uploads it to the remote storage. Can I use your backup service on more than one computer? We include a software license for one computer. If you would like to backup multiple computers/servers, you will need to purchase an additional license for each device. There is no additional fee for the offsite storage. All devices can use the same location. Will the backup copy opened files? How will the backup software secure my data? 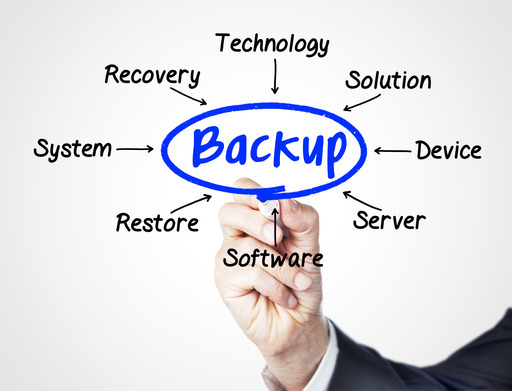 Our backup service offers several industry standard strong encryption algorithms to protect your data. Does the backup software copy all files every time it runs? Can your backup service copy only the modified portion of the file? This is a concern when you have a huge file, like an Outlook PST file that is 2 GB or more. This is called block-level backup and it is fully supported with our backup software. Does your backup service keep older versions of the file? Yes, and this feature gives you an ability to restore a file to a certain point in the past. Of course the more versions you store, the more storage you will use. If I delete a file on my local computer is it also deleted from backup storage? Yes, the file will be deleted from the online storage too. By default, though, the file will stay on the online storage for 30 days to prevent accidental deletion. We call it Smart Delete. Can your backup service copy the data immediately as it changes? Yes, this is what we call Real-time backup. You can select this option in the Backup Wizard Scheduling step. By using a low level Windows API this feature comes with zero impact on your computer performance. Does your backup service support the MAC OS X platform?